Prime Minister Narendra Modi inaugurated “The Statue of Unity” – a 392 feet statue of one of the most influential political icons of India -Sardar Vallabhbhai Patel on 31st October 2018. 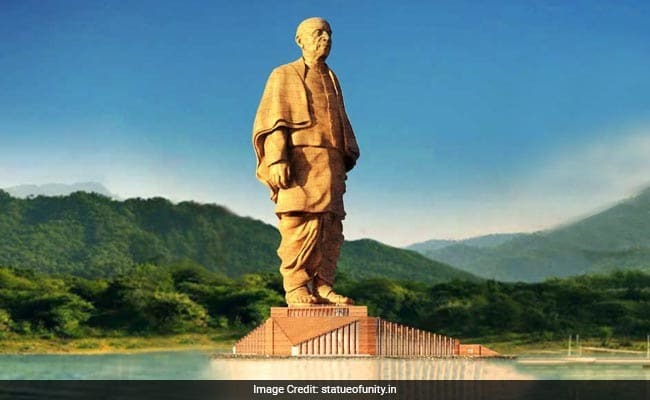 This is the world’s tallest statue which is located on a river island facing the Sardar Sarovar Dam in the Narmada district of Gujrat. Here are some amazing qualities which every sportsperson can learn from this visionary leader. Although considered unambitious by family, He passed the state examination for the law without any formal education. Later, he played the most important role in the political integration of more than 500 small princely states into the Union of India post-independence. He was determined to achieve his goal without any bloodshed, which he did. Determination and passion are the qualities which benefit a player greatly. Nothing can stop you from achieving success if you are strongly dedicated towards your goal. Discipline is the key to success. As a player, it is important for you to evaluate your progress and spot your weaknesses and eliminate them completely to ensure delivering your best performance. At the time of 1946 Congress election, 13 out of 16 states favored Sardar Patel as their president but he chose to withdraw his name and endorse Jawaharlal Nehru. Nehru ultimately became the first Prime Minister and Patel became his deputy. He anticipated future and did what he thought was essential for the growth of the country. Future is filled with uncertainty and it is impossible to predict what exactly is going to happen but your ability to evaluate the situation and openness to changes can help you stay motivated and get better results in the game. By keeping realistic expectations, you can prepare yourself to deal with challenging situations confidently. Sardar Patel was hailing from farmer family. He wanted to go to England for further studies and become a lawyer but didn’t have money to follow his dream. After passing the bar examination, he borrowed books from his friends and senior lawyers to continue learning. He travelled to England and completed the 36-month course in just 30 months and topped the exam. After completing his studies, he came back to India to start his practice but he never accepted doing a job for the British government. He was 36-year-old when he became one of the most successful Indian barristers. Failures are a part of life and nobody can run away from them. It’s your choice to either deal with the failure bravely or cries over it. When you fail in a game, get up stronger, learn your lesson, and move on. NEVER GIVE UP. Believe in your goal and stay committed towards it if you want to become successful on the game tables as well as in life. The name “Sardar” was given to him because of his extraordinary leadership and diplomatic skills. It was not an easy task to convince princes of different states for the merger. He faced countless challenges and setbacks in his mission but he never wavered and always managed to overcome every obstacle with his political acumen, wisdom, resilience, and stratagem. To achieve a particular goal, it is important to plan your gameplay and coordinate your actions. In poker, when you play against a strong opponent, you need to read his playing pattern and behaviour to spot leaks in his game. Strategic planning allows players to understand the situation and identify the weakness of the opponents to make the right move at the right time.